Very well equipped 2016 GLC300 with Premium Package, Premium Plus Package, Sport Package, Heated Steering Wheel and more!! Fully reconditioned and Mercedes-Benz Star Certified so you can buy with confidence and drive with pride! 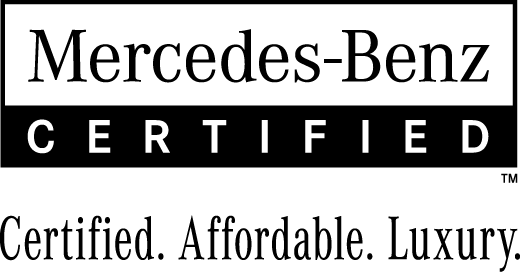 Call or stop by O'Regan's Mercedes-Benz to book your test drive today! 902-453-2300. This Sprinter V6 3500 Chassis 170 is ready for you to make it what you want. Road ready with Convenience Package, Front Axle Reinforced, Heated and Power Adjustable Side Mirrors, Reverse Warning System, Extended Tail Light Wiring Harness, End Cross Member, Bolted. Call O'Regan's Mercedes-Benz today for more information! 902-453-2300. Pre-Owned 2018 Mercedes-Benz C-Class TEST DRIVE TODAY!!! C300 4MATIC AWD SEDAN w/ SUNROOF, BACKUP CAMERA, BLUETOOTH, MEMORY SEATS, TINTED GLASS & MUCH MORE!!! Pre-Owned 2018 Hyundai Kona AWD SUV w/ HEATED FRONT SEATS, HEATED STEERING WHEELS, TINTED GLASS, ROOF RAILS, BLUETOOTH, BACKUP CAMERA AND SO MUCH MORE!! Only 36,000kms on this just traded Honda Varadero!! Call O'Regan's Mercedes-Benz for more information today!! 2018 RAV4 LE SUV CUSTOM PACKAGE - all the great features of this vehicle AND LEATHER INTERIOR! Dealer installed and very durable! Check out everything else this vehicle has to offer including BACKUP CAMERA, BLUETOOTH, HEATED SEATS, ALLOY WHEELS AND MORE! Plus Toyota Safety Sense. You can't beat Toyota for reliability and safety! 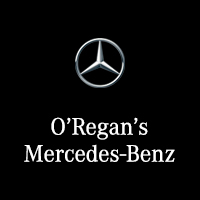 Call or stop by O'Regan's Mercedes-Benz today for more information! 902-453-2300 Did you know?..... O'Regan's contributes $300,000 annually in cash and in-kind contributions to local, provincial, national and international charitable organizations and community groups. $16,000 OFF NEW MSRP! 2018 X5 35i x-DRIVE WITH HEATED LEATHER FRONT AND REAR, QUAD ZONE CLIMATE CONTROL, TOUCH SCREEN NAVIGATION, BACKUP CAMERA, HEAD UP DISPLAY, PANORAMIC ROOF, HEATED STEERING WHEEL, COMFORT ACCESS, BI-XENON HEADLIGHTS, 19" ALLOYS AND MORE!